Dance Jamz Performers Know How to Move It! 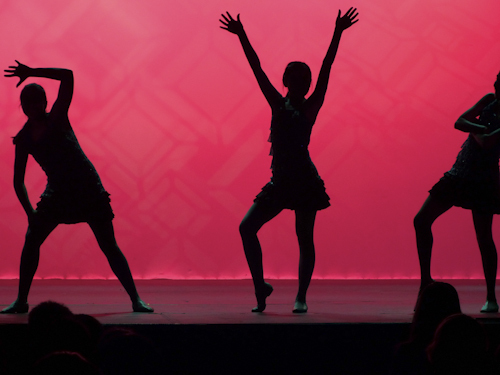 Always the crowd pleaser, Dance Jamz, the middle school’s annual spring dance show, again left audiences wanting more. Sponsored by the performing arts department and held at the Blackford Theater for a four-show run, the recent show featured 169 dancers (20 more than last year) from all middle school grade levels. Dance Jamz 2012 encompassed a series of elaborate routines, covered varied dance styles and included more male performers than ever before. There was even an grade 8 boys-only number. The student dancers performed a total of three shows, first showcasing their talents for grade 5, then entertaining their middle school classmates and finally performing for friends and family. Middle school dance teacher Gail Palmer, who directed the show, said she was excited about watching Harker’s middle school program grow. With more students taking classes and becoming technically skilled dancers, she hopes her students continue to follow their passion for dance well into high school and beyond. She noted that Dance Jamz would not be possible without the tireless effort of countless volunteers who ensure it runs smoothly, as well as those who give to Harker’s annual campaign, which funds the program. From the first energetic piece, “This Place About to Blow,” to the final number, “Fame,” Dance Jamz entertained and delighted audience members with its stunning variety of dance styles, music and costumes.